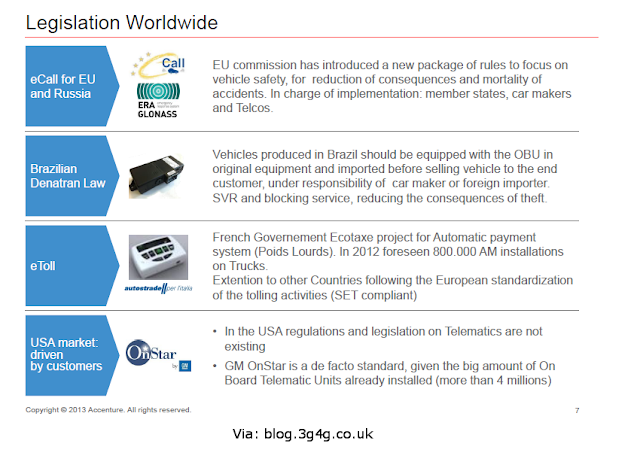 From the 1st of July 2014, the new EU Roaming Regulations III will become active. The new EU Roaming regulations set by the European Commission, will allow retail mobile customers to purchase roaming services (such as voice, SMS and data) from an Alternative Roaming Provider (ARP) separate from their domestic service provider (DSP), without affecting either mobile number or device. The general idea behind the regulations is to promote the interests of European citizens by increase competition between European operators, provide greater transparency, reduce bill shocks, and ultimately provide a greater roaming experience and higher quality of service for consumers. 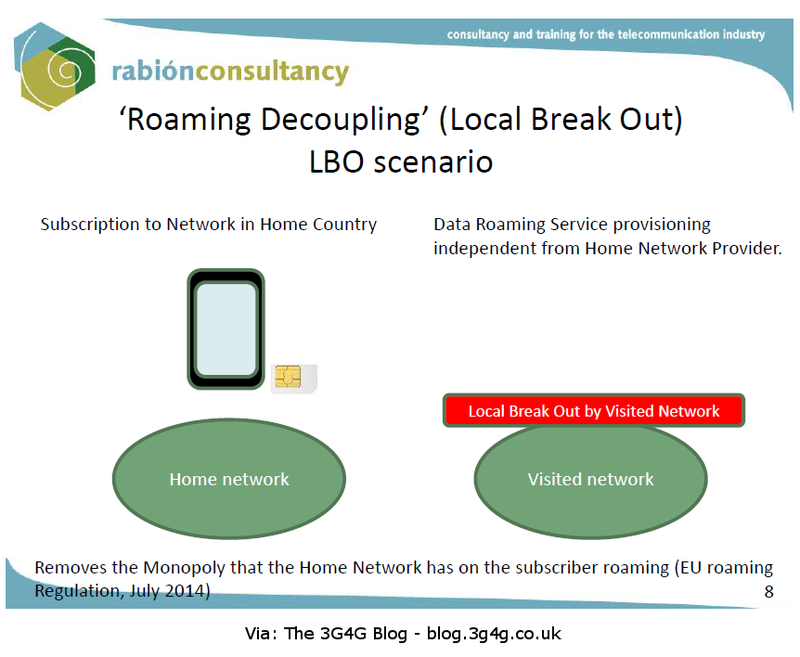 The process of selecting an ARP and its services while abroad within EU is more commonly known as decoupling or separate sale of roaming services. BEREC (the body of European Regulators for Electronic Communications) have provided the European Commission with their recommendations of two decoupling models that should be supported; Local breakout (LBO, which is the local provisioning of data services by a visited network operator, or Single IMSI solution where the ARP acts as a reseller of the DSPs service offerings. 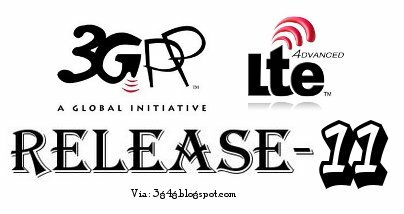 With the Single IMSI solution the ARP will engage in agreements with each domestic operator providing domestic services, then the ARP will act as a reseller of these services to the roaming subscriber. 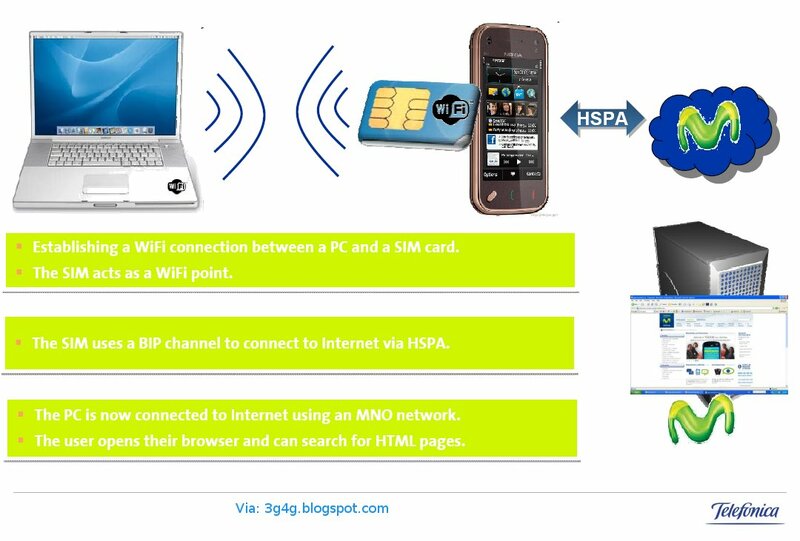 This type of solution is applicable for all types of service providers such as mobile network operators, MVNOs or VSPs. From a subscriber standpoint, they will have a roaming agreement with the ARP regardless of the DSP and the DSP is required to activate services within one working day. The Local breakout model refers to local provisioning of data services only, where the services is provided directly on the visited network and traditional SMS and voice traffic is supplied by the home operator in traditional roaming manner. By using the 3GPP option for local breakouts, the VPMN will be able to act as ARP for internet access and other data services. With these new regulatory changes, there is a higher demand on flexibility in billing systems. Support for more complex multi-partner business models for ARP and MVNO is necessary for both billing and financial settlement activities. I had been having some discussions regarding Multi-SIM phones and there is a bit of misunderstanding so here is my clarification about them. Anyway, a lot of information is just an understanding so feel free to correct any mistakes you think I may have made. This post is about multiple SIM cards, physical UICC cards rather than single UICC with multiple SIM applications. We will look at Dual IMSI later on in the post. In case you do not know about the multiple SIM applications in a UICC, see this old post here. 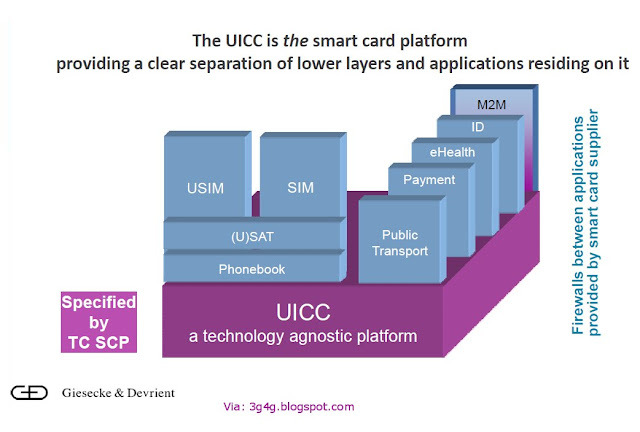 In this post, I will refer to UICC cards as SIM cards to avoid confusion. Back in the old days, the Dual-SIM phones allowed only one SIM on standby at any time. The other SIM was switched off. If someone would call the number that was switched off, a message saying that the number is switched off would come or it would go in the voicemail. To make this SIM in standby, you would have to select it from the Menu. The first SIM is now switched off. The way around it was to have one SIM card calls forwarded the other when switched off. This wasn't convenient and efficient, money wise. The reason people use multiple SIM phones is to have cheaper calls using different SIMs. So in this case forwarding calls from one SIM to another wont be cost effective. These type of phones were known as Dual SIM Single Standby or DSSS. These devices had a single transceiver. So as the technology got cheaper and more power efficient, the new multi-SIM devices could incorporate two receivers but only one transmitter was used. The main reason being that using two transmitters would consume much more power. As a result, these devices can now have both the SIM's on standby at the same time. These kind of devices were known as Dual SIM Dual Standby or DSDS. 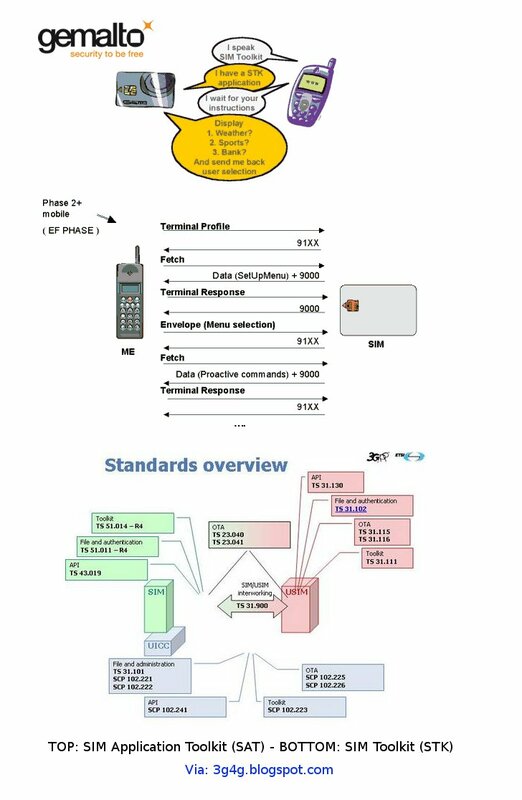 Wikipedia also calls then Dual SIM Standby or DSS. This concept could be extended further to Triple SIM Triple Standby or TSTS in case of the device with three SIM cards and Quad SIM Quad Standby or QSQS in case of four SIM cards. One thing to remember is that when a call is received and a SIM becomes active, the other SIM cards become inactive for the duration of the call. 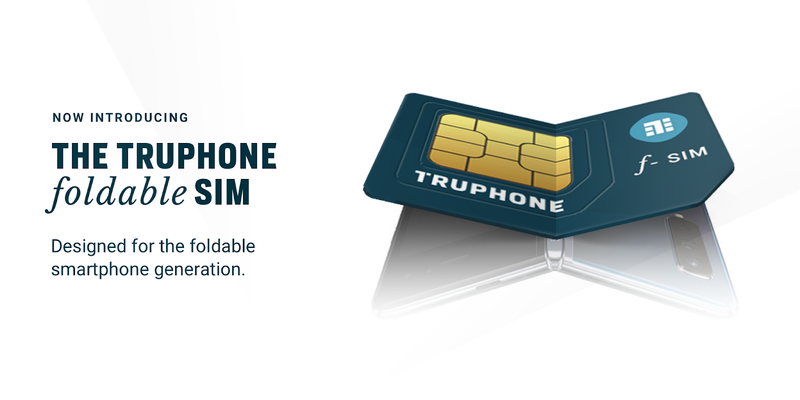 A workaround for that situation is to forward the call to the other SIM card in case if its unavailable. Though this will work for DSDS, it may not be that straightforward in case of TSTS and QSQS due to more than two SIM cards being present. Another category of devices that are now available are the Dual SIM Dual Active or DSDA. 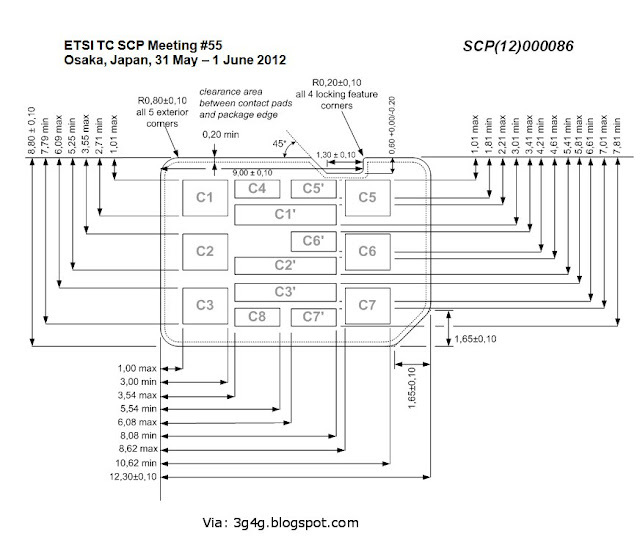 In this case there are two transceivers in the device. Both the SIM cards are active at the same time so each SIM card can handle the call independently of each other. It would even be possible to conference both these calls. With the prices of calls falling, there is no longer a real need for multiple SIM cards. One SIM card is generally sufficient. 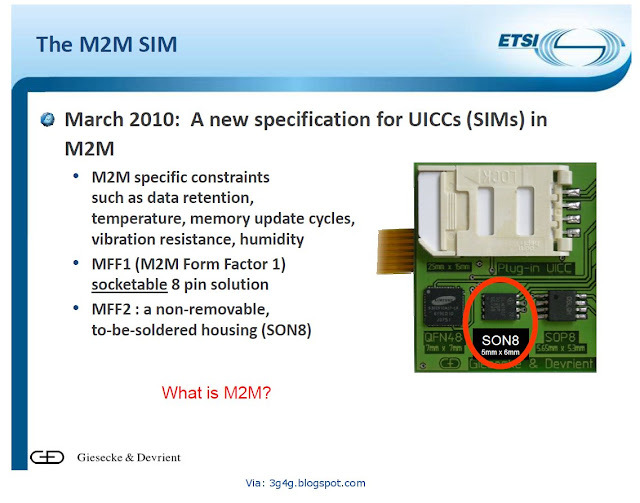 It may be useful though to have multiple IMSI on the SIM card. 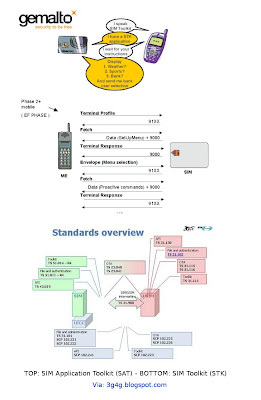 The different IMSI would have different country and network code. For example, a person in in UK can have one IMSI with the home network code and one with say a US operator IMSI. This IMSI could only be programmed by the home operator. When the person is in UK he could receive calls on his UK number or on the US number which would be routed to his UK number. For a person in US calling the US number, this is a national call rather than an international one. When the person is roaming in the US, his US IMSI would behave like non-roaming case while the calls to the UK number would be forwarded to the US number. 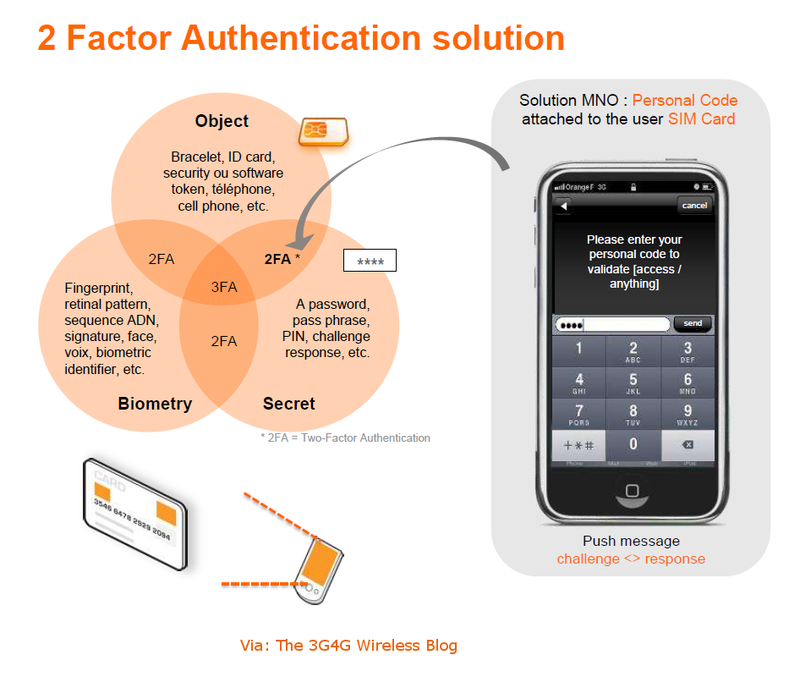 You can also read more about this and Multi-factor Authentication (MFA) on Wikipedia here. 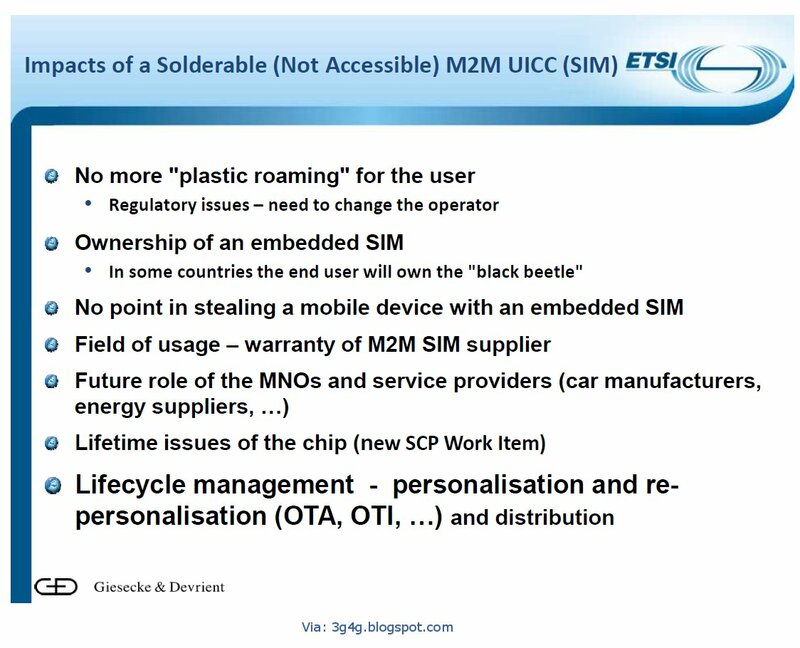 At issue is the shape and size of the standard next-generation SIM: Apple and a band of network operators want a tray-requiring shape and contacts that would permit a convertor for backwards compatibility with chunkier old SIMs. 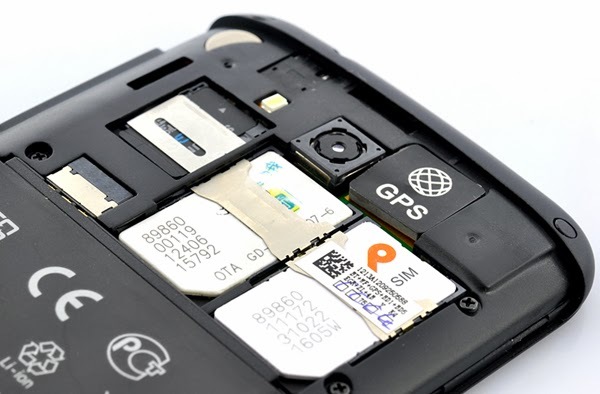 Nokia, Motorola and RIM have pushed for a new contact pattern and a notched SIM for clunk-click, and tray-less, insertion. The new proposal, apparently put forward by RIM and Motorola, is a compromise but it hasn't secured backing from either of the most-belligerent parties - yet. Copies of the design, as well as Moto's presentation in March that compared the competing interfaces, have been seen by the chaps at The Verge. 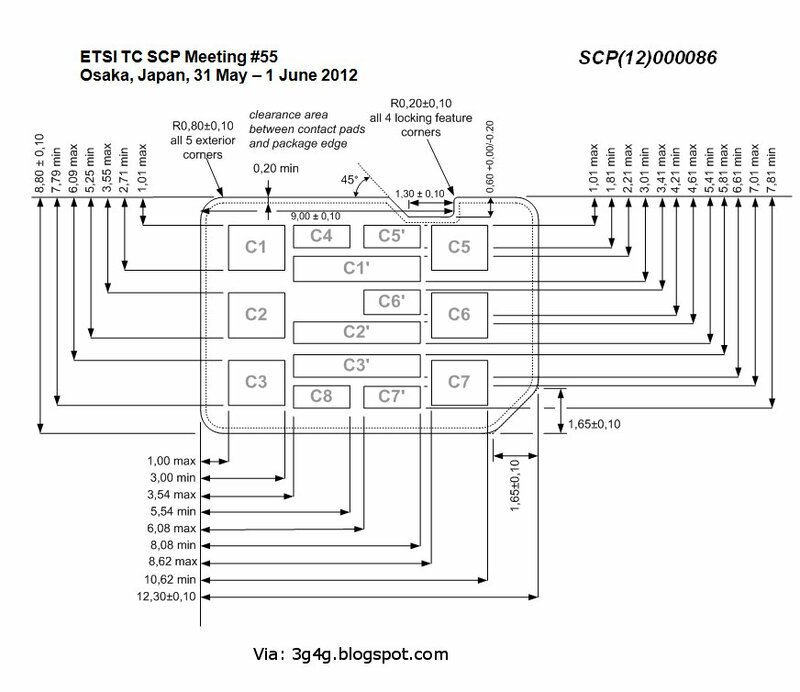 What all parties agree on is that a smaller SIM is needed: the first SIMs were the same size as credit cards (conforming to ISO7816), while the second form factor (2FF) is the SIM with which most of us are familiar (conforming to GSM 11.11). Next was the microSIM (3FF), popularised by Apple's adoption in the iPhone; the 3FF just trims off the excess plastic while maintaining the contact pattern. The undecided 4FF standard (dubbed the nanoSIM) will be thinner as well as smaller, and almost certainly feature a different contact pattern to make that practical, although how different is part of the ongoing debate. The Apple-backed 4FF proposal was for a contact-compatible SIM with smooth sides necessitating an insertion tray, while Nokia wanted the contacts shifted to the far end and a notch along the side for easy push-to-lock fitting. The new RIM-Moto proposal, if genuine, places the contacts in compatible locations while maintaining the Nokia notch, appeasing both parties or perhaps annoying them both equally. There have been claims that Nokia is just trying to protect its patent income, fanned by Apple's offer to waive its own IP fees if its proposal were adopted. That's something of a red herring as Apple's hasn't much IP in this area and Nokia's patents cover much more than the physical shape of the SIM so its revenue is pretty much assured. 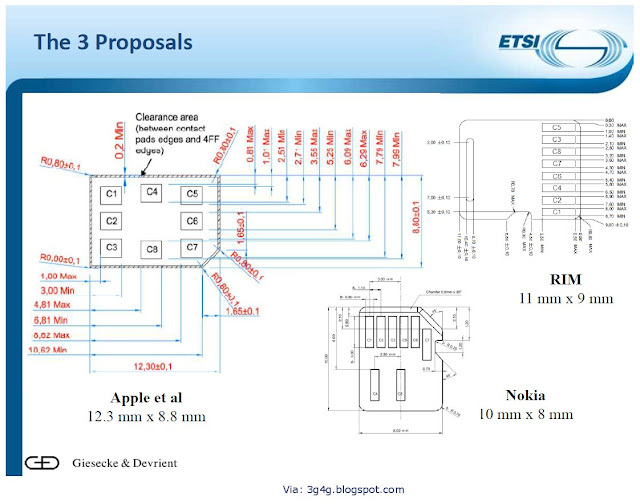 Not that Nokia has helped itself by threatening to deny patent licences if its own proposal isn't adopted, claiming that Apple's divergence from rules laid down by telecoms standards body ETSI relives Nokia of its FRAND commitment to licence its technology on a fair and reasonable basis. 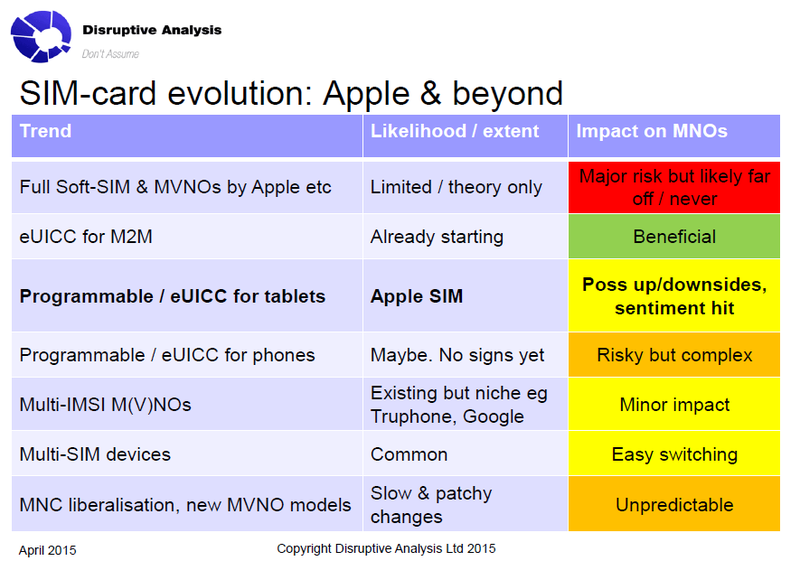 BBC reported that there is some dispute between Apple and Nokia/Rim for the next generation of SIM cards, 'nano-SIM'. You can read more about that here. When the GSM network first appeared, mobile devices resembled bricks or even briefcases, and SIM cards were the size of credit cards. The subsequent miniaturization of the phones led to the standardization of smaller SIMs, the Plug-in SIM, and later the Mini-UICC also known as 3rd form factor (3FF). With the introduction of Apple’s iPad, the 3FF, or the Micro-SIM as it was then called, established itself widely in the market. 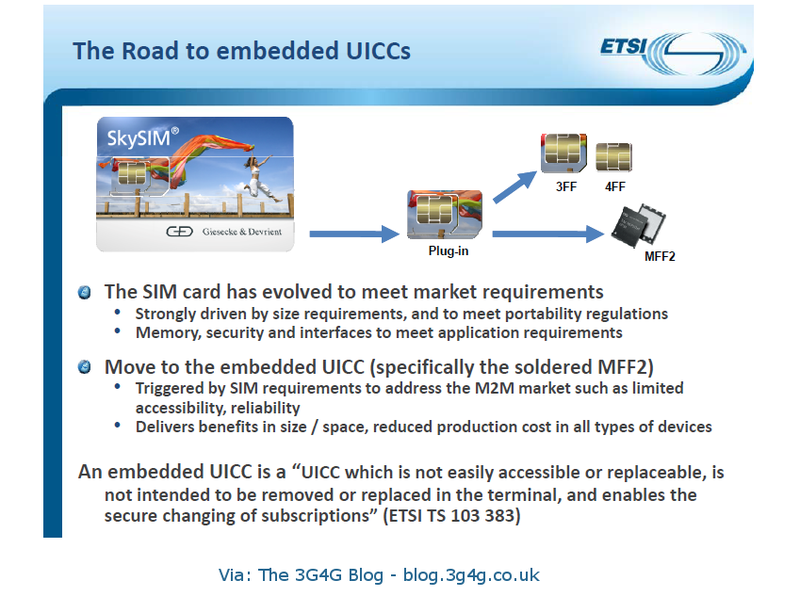 Nevertheless, the trend towards miniaturization of the SIM card is still not over. 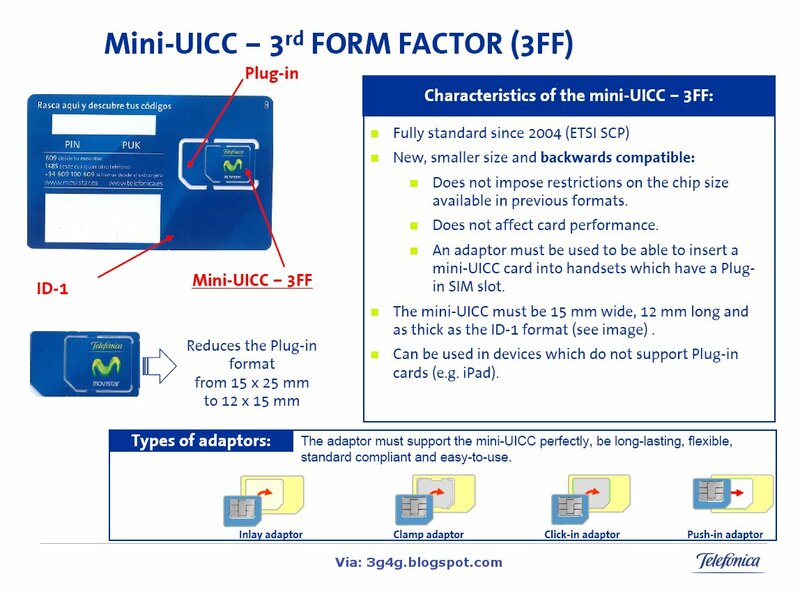 The latest form factor which is currently in discussion at ETSI (European Telecommunications Standards Institute) is the 4th form factor (4FF) or Nano-SIM. Measuring 12.3 x 8.8 mm, the Nano-SIM is about 30 percent smaller than the Micro-SIM. Even the thickness (0.7 mm) of the card has been reduced by about 15 percent – a tremendous technical challenge. The Nano-SIM offers device manufacturers the crucial advantage of freeing up extra space for other mobile phone Nano-SIM The smallest SIM form factor on the market components such as additional memory or larger batteries. 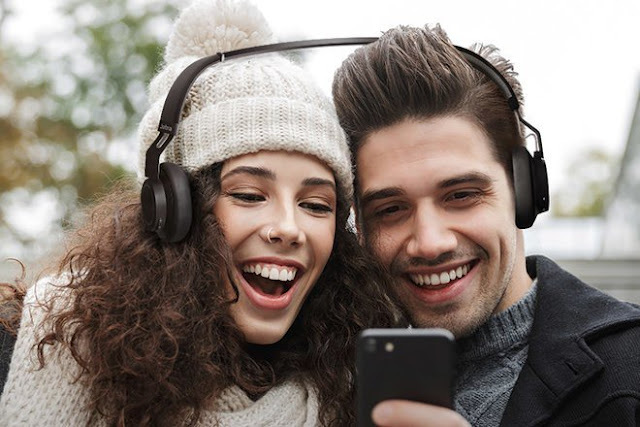 Popular smart phones in particular have to strike a balance between the need for components that are more powerful but bulkier and a slim design. The reduced volume of the 4FF gives manufacturers the opportunity to produce devices that are thinner and more appealing. 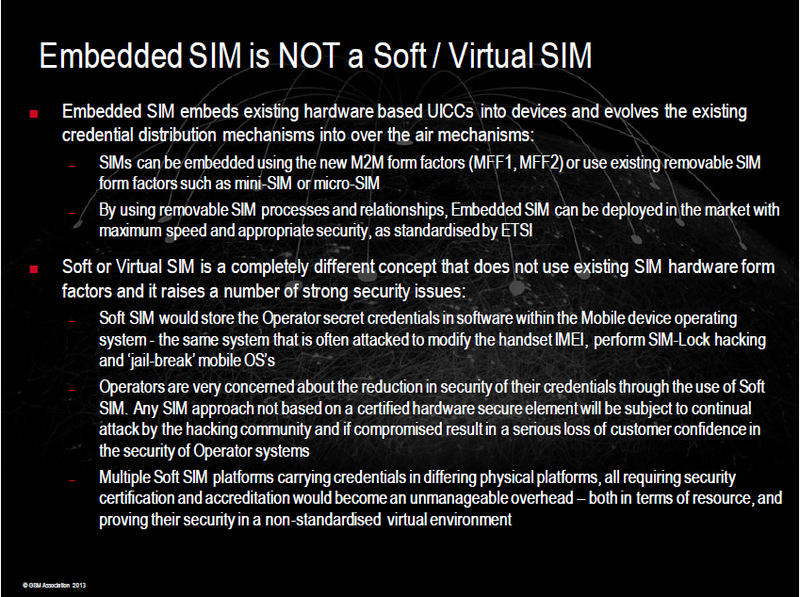 Will a Soft SIM Change Everything? 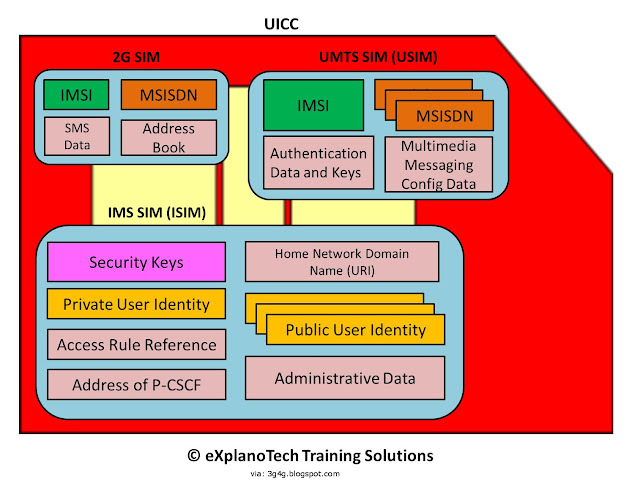 Gemalto’s software development team has embedded the software application into the SIM. This ensures the Facebook application is compatible with 100% of SIM-compliant mobile phones. The innovative solution provides mobile subscribers with simple and convenient access to core Facebook features such as friend requests, status updates, wall posts or messages. It also offers unique functions: people can sign up for this service and log in directly from the SIM application. Interactive Facebook messages pop-up on the phone’s screen so people can always share up-to-the-minute posts and events. One can also automatically search their SIM phonebook for other friends and send them requests. Facebook for SIM is extremely easy to use and is available to everyone. No data contract or application download is needed, because the software is embedded in the SIM and it uses SMS technology. As a result, it works for prepaid as well as for pay-monthly customers. Following an initial limited free trial period, Facebook for SIM then operates on a subscription model via an unlimited pass for a given period of time. The SIM-based client isn't as pretty as its smartphone contemporaries – don't expect picture streams or sliding interfaces – but it was developed with the help of Facebook, and provides text-menu-based interaction with Facebook – including status updates, pokes and friend requests – to any GSM-compatible handset through the magic of the GSM SIM Toolkit and Class 2 SMS messages. 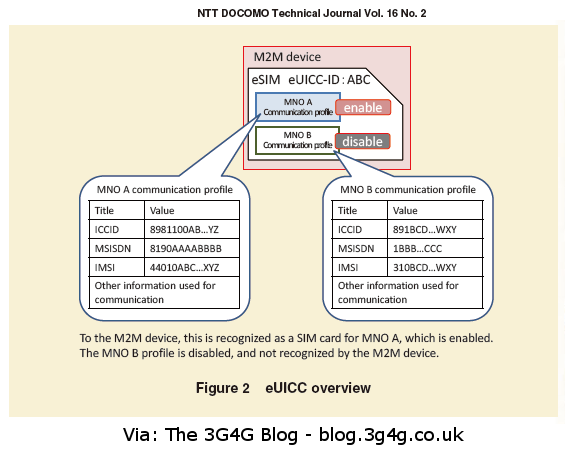 The SIM Toolkit is part of the GSM standard and thus supported on just about every GSM handset, from the dumbest PAYG talker to the latest iGear. It allows the SIM to present menu options to the user, collect responses, and pop up alerts when new data arrives, which is all that's necessary for a basic Facebook client. Modern handsets also allow the SIM to make TCP/IP data connections, but Gemalto is eschewing that for Class 2 SMS to ensure compatibility with the most basic handsets, and networks. Class 2 SMS messages are delivered direct to the SIM without the user being involved, so can update friends' status messages and deliver a poke or two. The application running on the SIM then prods the handset into alerting the user. That user's own updates are sent over SMS too, following a status change or wall posting client pastes that into an SMS, which is sent silently on its way. How, or if, the network operator charges for all those messages flying about isn't clear. Gemalto won't name operators yet but claims to be talking to one operator who reckons that Facebook is eating half its bandwidth, and another who's already working on SIM distribution strategies. 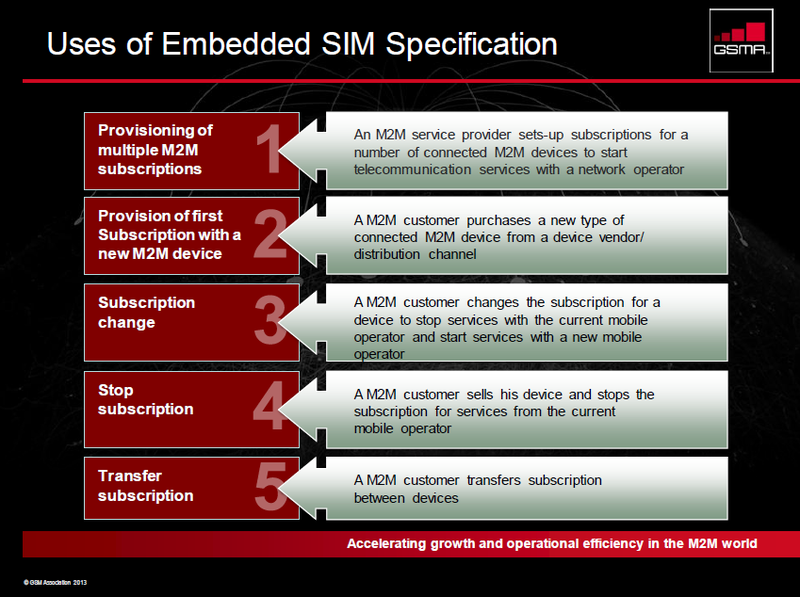 Not that a new SIM is necessarily required – SIMs are field upgradable, though few operators deploy them with sufficient empty space for an application like this and issuing replacement SIMs is probably easier from a marketing point of view. You can also find some of these details here. As I have been working on SMS for the last few weeks, I decided to dig a bit deep into what these Class 2 SMS are. Classes identify the message's importance as well as the location where it should be stored. There are 4 message classes. 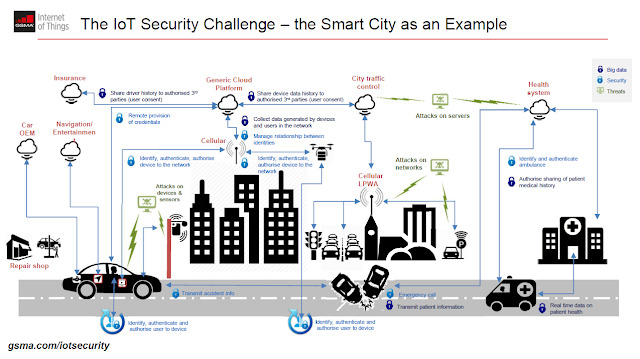 6th ETSI Security workshop was held last month. There were some very interesting areas of discussion including Wireless/Mobile Security, Smart Grids Security, etc. All presentations are available to download from here. 3. Multi-media (e.g., pictures, video clips) transfer to emergency services either during or after other communications with emergency services. In addition to support the general public, this capability would facilitate emergency communications to emergency services by individuals with special needs (e.g., hearing impaired citizens). 1. What are the requirements for Non Voice Emergency Services? 2. What are the security, reliability, and priority handling requirements for Non Voice Emergency Services? 3. How is the appropriate recipient emergency services system (e.g., PSAP) determined? 4. Are there any implications due to roaming? 6. Are there any implications due to the subscriber crossing a PSAP boundary during Non Voice Emergency Services communications (e.g., subsequent text messages should go to the same PSAP)? 7. Do multiple communication streams (e.g., voice, text, video emergency services) need to be associated together? 8. What types of “call-back” capabilities are required?9. Investigate the load impact of Non Voice Emergency Services in the case of a large scale emergency event or malicious use. Non Voice Emergency Services will be applicable to GPRS (GERAN, UTRAN) and to EPS (GERAN, UTRAN, E-UTRAN and non-3GPP). 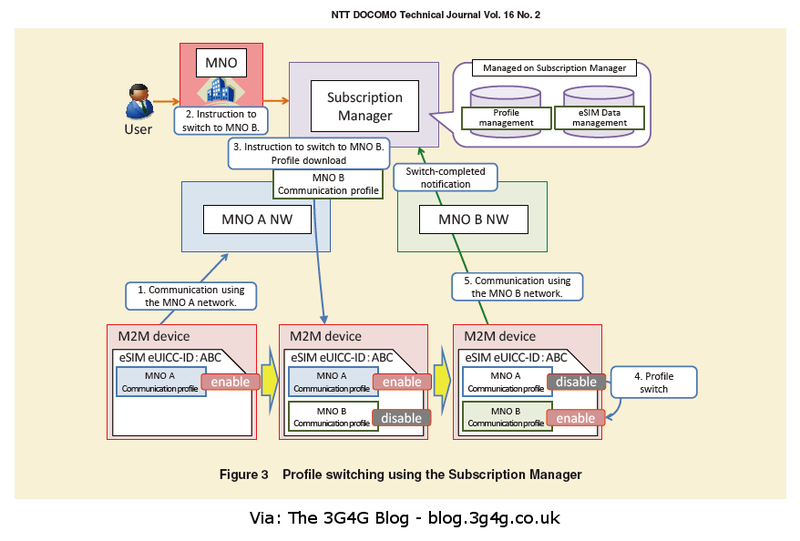 The intent of this study item is to identify use cases and requirements enabling Mobile Network Operators to distribute new services based on the USIM, to improve the customer experience and ease the portability and customisation of operator-owned and customer-owned settings from one device to another (such as APN and other 3G Notebook settings, graphical user interface, MNO brand, Connection Manager settings,…), and help in reducing operation costs and radio resources usage. 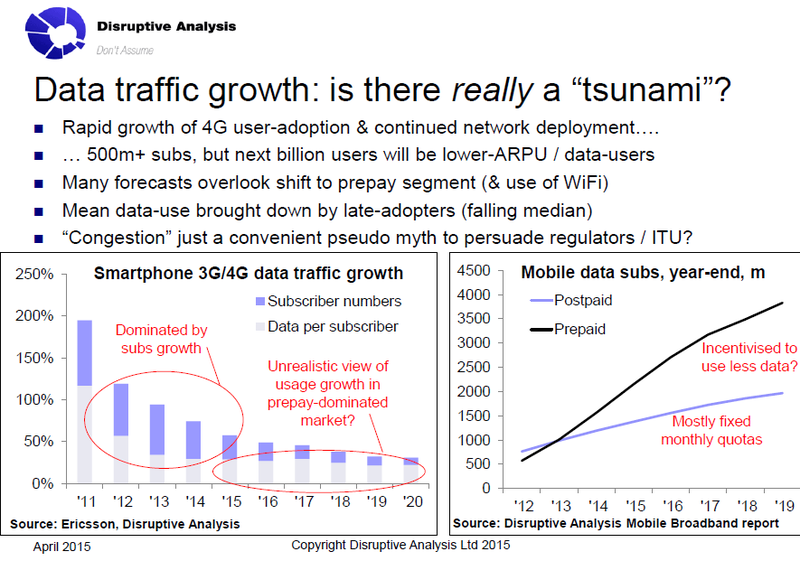 M2M demand is forecast to grow from 50M connections to over 200M by 2013. 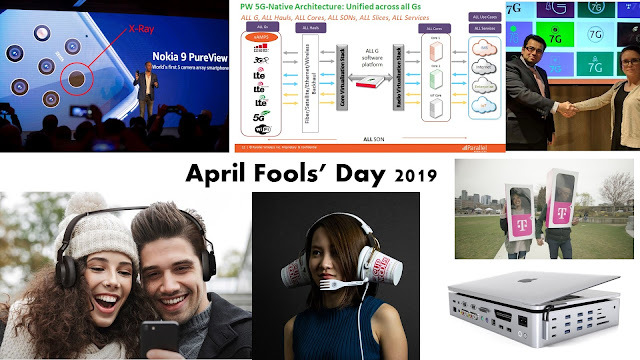 A large number of these services are today deployed over circuit-switched GSM architectures and require E.164 MSISDNs although such services do not require "dialable" numbers, and generally do not communicate with each other by human interaction. Without technical alternative to using public numbering resources as addresses, and considering the current forecasts and pending applications for numbers made to numbering plan administration agencies, there is a significant risk that some national numbering/dialling plans will run out of numbers in the near future, which would impact not only these M2M services but also the GSM/UMTS service providers in general.